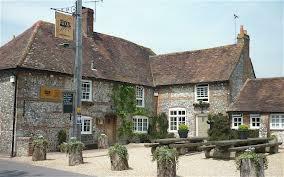 Trundlers is on a quiet lane in the small village of Charlton in the beautiful Lavant Valley. Many of the old properties were connected to the famous Charlton Hunt in the mid 1700's. The surrounding area is now part of the newly formed South Downs National Park and offers ample places to visit and wonderful countryside for those able to spend some time in the area. The beautiful western end of the South Downs tends to be more wooded than the eastern half. Levin Down Nature Reserve is only a few minutes walk away and there are endless walks over the Downs or into Charlton Forest as you leave the property. ﻿Goodwood House, Horse Race Course and Motor Racing Circuit sit on ' The Trundle ' hill above the village. Trundlers is only a short distance from Farbridge and Upwaltham Barns, both popular wedding and function venues. Delightful old pubs serving good food and beers are to be found in the local villages. 'The Fox Goes Free' is only a 2 minute walk away from your front door. It hosted the inaugural meeting of the first WI to be formed in England in 1915. Midhurst and The Cowdray Ruins.